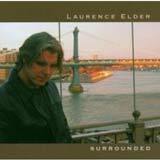 Discover "Surrounded" by Laurence Elder! Laurence Elder has swiftly established a strong musical presence in the wake of his sold-out CD release concert at the Van Dyke Cafe, in Miami Beach. His fresh, inspired blend of jazz, pop, blues and rock, along with his "triple threat" talents as a singer-songwriter-pianist, truly set his music apart as an important new original sound. Already a signed artist in Europe with ESC Records, his recent stateside performances include the Van Dyke Cafe, JAZZIZ Bistro, and the brand new Arturo Sandoval Jazz Club, as well as a recent concert at the Carefree Theatre where he opened for Al Dimeola, who has Laurence on his short list of favorite musicians. His critically acclaimed debut album, “Surrounded,” features Grammy-winning personnel Paquito D‘Rivera and Peter Erskine, and continues to gather rave reviews from luminaries in the music world. It was recently chosen to be in the April 2006 issue of JAZZIZ Magazine and the accompanying "JAZZIZ on disc" CD sampler, as well as receiving a four-star review in the September 2005 issue of Modern Drummer Magazine. Since completing a Masters degree in music at the University of Miami, Laurence has devoted his energy to sharing his music with the world, and has formed a band consisting of some of the industry's most sought after musicians, whose collective performing credits include Tito Puente, Ruben Blades, Chayenne, Juan Luis Guerra, and Nestor Torres, among many others. Read the full liner-notes about "Surrounded" here! Leland Sklar replaces Mike Porcaro on TOTO "FIB" tour! Any fan who attended TOTO shows over the last year noticed that Mike Porcaro had toured after having sustained a very painful injury to his left hand. Despite the fact that it was difficult, Mike persevered and played each and every date of the first leg of the Falling In Between Tour. After returning home, Mike sought medical treatment and has been recovering nicely; however, he has not been able to recuperate in time to join the band on the upcoming tour. "I was hoping that the situation would be better by now," Mike states, "but it hasn’t improved. It’s gonna take a while. I’m working on it, and I hope to be back in the saddle soon enough. But, unfortunately, I’m not going to be able to make this upcoming run. Nobody feels worse about it than me, but that’s the reality of it." Despite the short notice, TOTO have recruited one of the best bass players around to substitute for Mike: acclaimed session musician and life-long friend Leland (Lee) Sklar. "Those of you on the TOTO Network have seen Lee; he’s a big part of the Network and what we’re trying to do there with the web. He’s going to play bass and you’re going to love it. You’re in great hands," says Mike, and jokes, "Come on down and see him play and see a real bass player." Sklar, a renowned player whose credits include James Taylor, Hall & Oates, Jackson Browne, Phil Collins, Clint Black, Reba McEntire, and George Strait, is looking forward to playing with his long-time friends in TOTO. He will be filling in for Mike on all of the upcoming TOTO tour dates so that Mike has the time to fully recover. "I hope to see you all soon," says Mike. "I’m sorry that this is the way it is, but this is life and I’ll hopefully be back really soon. So God bless and enjoy the upcoming tour!" Chuck Loeb establishes his presence on "Head Up"
More than just a jazz guitarist, Chuck Loeb has proven himself to be a versatile composer, arranger and producer in a wide range of musical styles and contexts. In addition to fronting several of his own bands and projects, and compiling an impressive discography stretching back to the late 1980s, Loeb has also worked the other side of the mixing board to produce a number of high-profile artists, including Spyro Gyra, Bob James, Walter Beasley, Larry Coryell and Kim Waters. He's also composed the score for numerous television programs (CNN, ABC News Nightline, CBS Up to the Minute) and has crafted the theme music for the New York Yankees and the Atlanta Braves, and performed on several motion picture soundtracks (Turner and Hootch, The Untouchables, Mixed Nuts). 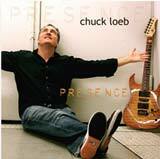 Indeed, there are few stones on the musical landscape that Chuck Loeb has left unturned. On January 23, 2007, this Renaissance man joins Heads Up International with the worldwide release of Presence (HUCD 3117), an album that recognizes the importance of the human element - not just in the crafting of music, but in everyday life. "Nowadays, there's a lot of music that gets created in a laboratory," says Loeb, who enlisted musicians various incarnations of his live band to craft the album. "We all have computers, and we do things long distance. But it never ceases to amaze me how, as soon as you put the live musicians into the equation, it's their presence that brings the thing to life. That's the idea behind the album title - the effect that an individual's personality has on the music, both in the context of a recording and in a live setting." Carly Simon Sings Modern Classics On her new Album, "Into White"
"Into White", a new collection of beloved pop standards and touching traditional lullabies was released on January 2, 2007. Produced by Carly Simon and Jimmy Parr, the songs on "Int White" are performed by musicians Teese Gohl, Peter Calo, Jan Hyer and David Saw. Ben & Sally Taylor contribute their unique vocals. Carly remarks, "We've discovered towards the end of the recording process that this is very much an album for grownups, as well as children. The album is very, very soothing....it doesn't startle you. It just does nice things to you." 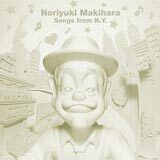 Noriyuki Makihara is a well-known J-Pop singer and songwriter, nicknamed "Macky" by his fans. 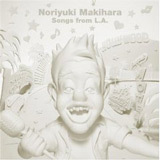 Noriyuki has just released "Songs from L.A." his new compilation album featuring songs by Bobby Caldwell, Tommy Funderburk, George Duke, Jason Scheff, Robbie Dupree, Kim Carnes, Justin Andres, Bill Champlin and Timothy Drury. "All my life" Billy Joel's first newly-written pop song since 1993's "River of dreams"
Columbia Records will release "All My Life," the long-awaited new pop single from the iconic singer/songwriter/performer Billy Joel. "All My Life" is Billy's first new pop music since his 5x platinum Grammy-nominated album, River of Dreams, was released in 1993. "All My Life" was recorded at New York's Legacy Recording Studios and produced by longtime musical associate Phil Ramone, who first worked with Billy on the artist's 1977 breakout album, The Stranger, and shared Grammy Awards with Billy for 1978's Song of the Year, "Just The Way You Are," and 1979's Album of the Year, 52nd Street. Written as Billy's anniversary present to his wife, Katie Lee Joel, the romantic "All My Life" will premiere exclusively on People magazine's online homepage, People.com, the week leading into Valentine's Day (February 7 - February 14), where it may streamed or incorporated into a Valentine's Day e-card for everyone's special someone. "All My Life" will be available as an exclusive download on iTunes from February 20 - March 6 before becoming more widely available online through a variety of digital services. What We Like production is now on line. You will discover the story behind the amazing concerts organized by our friend Richard Benhaim and partner Laurent Grosman. Remember Michael Ruff, Bill Cantos, Michael McDonald or Robbie Dupree and Bill LaBounty... What good memories! So let's go to wwlprod.com and discover the next artists to come in Paris for our pleasure. Stephen Bishop released his demo cd 3 "Fear of massage" and will be in concert in Paris on May 15th at Espace Cardin. Don't miss that exceptionnal concert! He started playing around town singing his songs in person for artists like,“Barbra Streisand...Bette Midler..Diana Ross...Michelle Phillips...” Shortly thereafter, he was signed to ABC Records who released his first album, “Careless.” His two hits from that album were,”Save It For a Rainy Day,” and “On and On..” Soon the album went gold, as well as his next album, Bish. Crosby, The Four Tops, Aswad and Pavarotti. Bobby Caldwell just released a new cd "Live at the Blue Note". You can order it now at Bobby Caldwell's Starmine Records Store!